Albion Pros remained undefeated after Saturday afternoon’s league game against Corinthians USA. 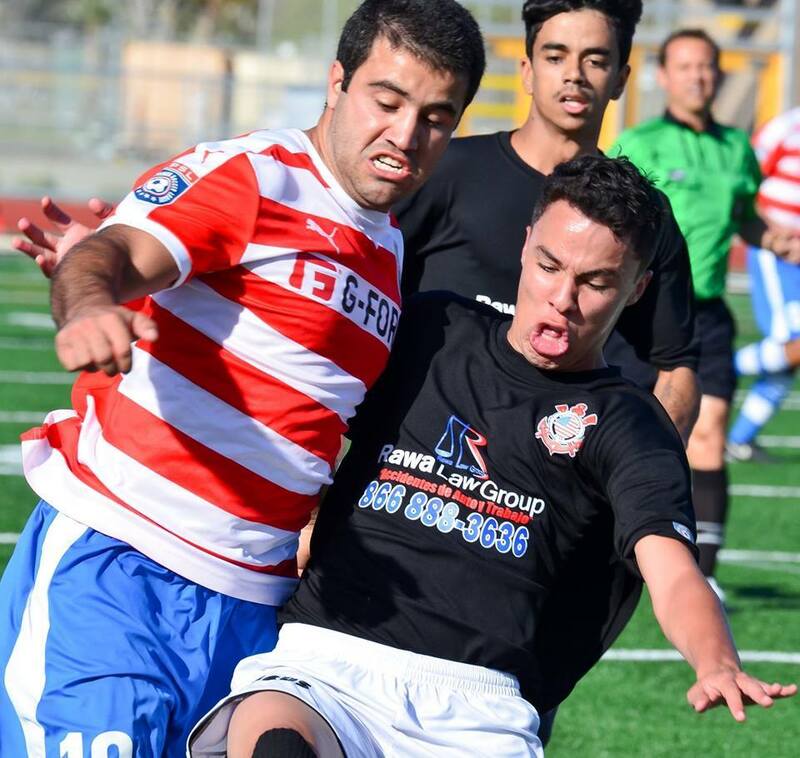 Playing in front of over 1200 fans, Albion Pros and Corinthians USA played to a scoreless draw in National Premier Soccer League (NPSL) Southwest division league play. The tie game earns both teams one point and keeps Albion Pros at the top of the division standings, while Corinthians USA earned a valuable point on the road. For the first time ever, Albion Pros were kept scoreless in a game. However, Albion’s league best defensive record remains intact after not conceding a goal and earning GK Jean Antoine his third shutout of the season. Albion Pros have only conceded one goal in the first four games of the season and will be looking to keep another shutout as they travel to FC Hasental before a three-game home stand. While there might not have been a goal in the game, there was still plenty of excitement and action on display. Winger David Luquen was lively in the opening half with some mazy runs down the right hand side that caused Corinthians some problems. He forced the defenders into some last ditch fouls in dangerous positions, but no one could tuck away the ensuing free kicks. Then, 15 minutes in the deadlock was almost broken when Felipe Liborio headed Mohammed Al Jaber through on goal for a 1v1 situation with only the keeper to beat. Unfortunately lofted the bouncing ball over the net to keep things at 0-0. Striking partner Tre Hayes then started to join the action with some delicate footwork for someone measuring 6’3”. Hayes weaved through three defenders and earned his team a corner. Minutes later Hayes was through on goal directly from a Jean Antoine punt but the defender unbalanced him just enough to force an awkward shot that was deflected out for another corner kick. Corinthians had a few shots from distance that were easily smothered by GK Jean Antoine. It seemed that Corinthians was content to keep their defensive shape and hope to counter with individual Brazilian flair and shots from distance. At the half the score was 0-0 with fans awaiting the first goal of the game. The second half proved to be much of the same for both teams. Early on, both teams traded weak counter attacks that caused little discomfort to each goalkeeper. Then, Forward Tre Hayes attempted to stamp his authority on the game. He had a hopeful 1v1 situation saved by the onrushing keeper, a half bicycle kick attempt saved comfortably after a dangerous cross, and slammed a half volley off the crossbar. He then tried to turn provider for the energetic Felipe Liborio with a through ball. Liborio slotted the ball into the back of the net and the crowd went wild, only for it to be called back for a marginal offside ruling. Surely Hayes would open the Corinthians defense and claim himself a well-deserved goal, but it wasn’t to be. Corinthians USA almost surprised and stunned Albion Pros with a dangerous shot from distance. Man of the Match Thiago Araujo of Corinthians USA rifled a shot hopeful from distance that almost caught Jean Antoine off his line. Fortunately, Jean tipped just enough of the ball to re-direct it off the crossbar and safely into his hands. Albion continued to press for the goal but couldn’t find a way through the stacked Corinthians lines. In stoppage time, Matt Clare had two clear chances from crosses that fell to him near the penalty spot. He could only half volley the bouncing effort wide of the target as the Corinthians defenders lunged to close down space. Therefore the game ended 0-0 with Corinthians earning a gritty point on the road. Albion Pros remain undefeated in NPSL league play and at the top of the Southwest Division standings with 10 points out of a possible 12.